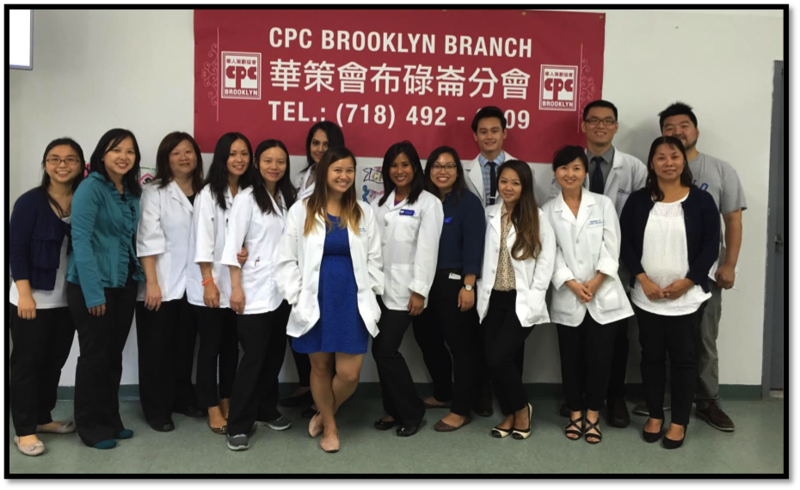 On September 16, 2015, NYCSHP and Touro College of Pharmacy Student Society of Health-system Pharmacy coordinated the 2nd Annual Community Outreach Flu Clinic Initiative at the Chinese-American Planning Council (CPC) in Sunset Park, Brooklyn. 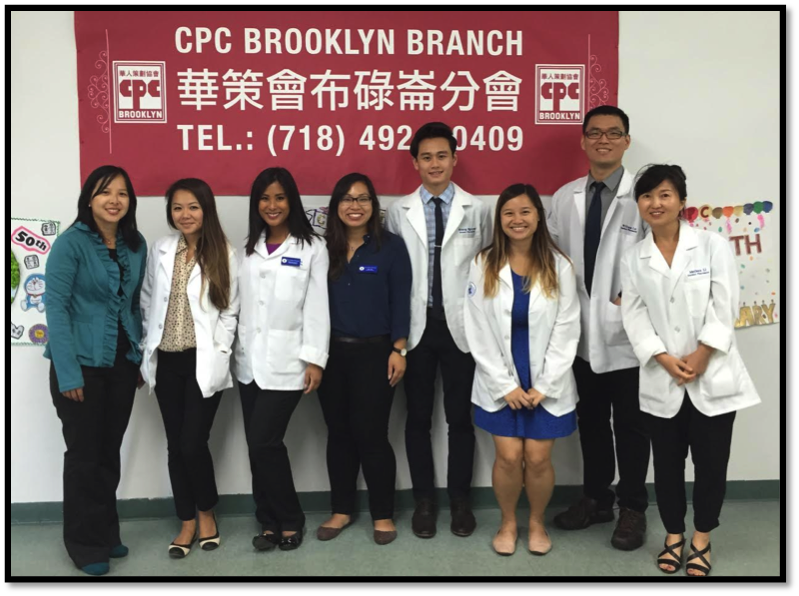 This outreach highlights the important role of pharmacists in public health by providing vaccines to underserved adult New Yorkers. Pharmacists from Walgreens (Hong Yun, Lisar Chow, Lilly Leung) administered nearly 100 flu shots to Asian-American and Spanish community members. NYCSHP members, including pharmacist (Winnie Wong) and student volunteers (Saira Mohammad, Gretchen Marcelino, Jessica Hong, Meihua Li, William Loi, Naty Long, Terry Nguyen, Kelly Vuong) assisted in translating information in Chinese and Spanish, and also helped to market the event. Other collaborators included Assemblyman Peter J. Abbate, Jr and City Council Member Carlos Menchaca. A student grant was awarded from the New York State Council of Health-system Pharmacists for marketing of this event. Dr. Mary Choy (Past-President of NYCSHP, Associate Professor of Touro College of Pharmacy, and Clinical Pharmacist at Metropolitan Hospital) was presented with a New York City Council Citation Award for dedicating her time and commitment in providing public health service. Congratulations to Dr. Choy for another year of excellence! Thank you to Ms. Wai-Yee Chan (Director of CPC) for partnering with us and making this such a successful event! 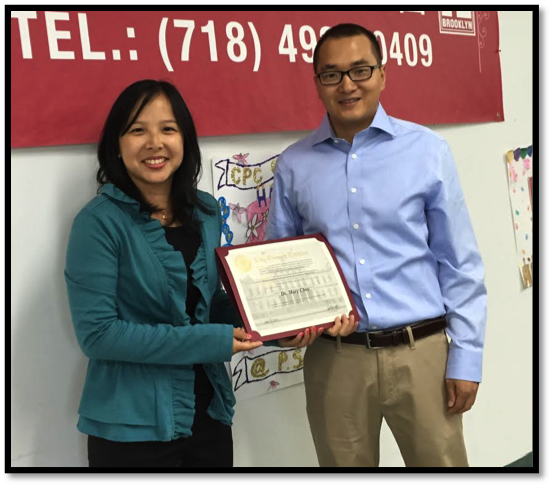 Mr. Kaden Sun (Community Liaison from the Office of City Council Member Carlos Menchaca) presents Dr. Choy with the New York City Council Citation Award.